ChemDry Amazing attends to water damage that may be caused by floods, faulty or damaged plumbing, frozen water pipes, fire control or high humidity conditions, accidents or negligence, defective appliances or fixtures, willful misconduct or vandalism. Our aim is to prevent personal injury or any further damage to your property and we determine the source of the damage, providing you peace of mind. The goal of ChemDry Amazing is to mitigate your loss, speed up the time of recovery, eliminate harmful contamination and to restore your property to pre water damage condition as soon as possible. Psychrometry is the science and practice of dealing with air mixtures and their control. Water vapor always seeks equilibrium. Therefore high humidity will always move to an area with lower humidity. The rate of evaporation is determined by humidity, temperature and air movement. The greater the volume and velocity of air, the greater the rate of evaporation that is achieved. Increasing the temperature of wet materials by direct heat application can be used to accelerate the drying of materials. Humidity reduction is the removal of water vapour from the air. When the elements of evaporation and dehumidification are equal, a balanced drying system has been established. ChemDry Amazing provides restoration procedures which are consistent with S500 – IICRC Professional Water Damage Restoration standards. Chemdry Amazing’s water damage restoration procedures are designed to remove moisture and to speed up the drying process to prevent or stop the growth of biological contamination that may have been activated by the moisture leak. The restoration process is developed to stop the growth of mould and mildew and to remove and extract the maximum level of spores caused by the biological contamination in the case of sewerage. 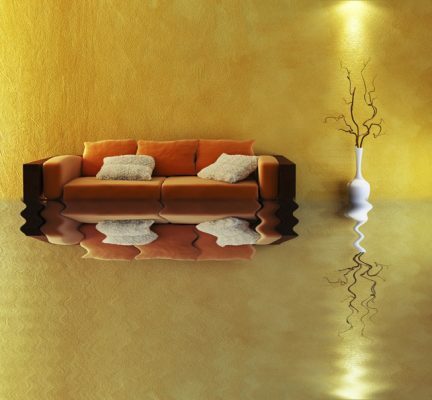 ChemDry Amazing prides itself on providing quality 24 hour service within Brisbane for any water damage, which ensures that there is always a prompt initial response. We are committed to our customers and communicate with them to ensure that they understand the predetermined goals of the whole restoration process. We use only quality equipment that is regularly tested to ensure they are in good working condition. Our staff is trained and highly qualified and skilled in their particular areas of involvement.